Good quality accordion. Asking $200.00. Good sound. This is a nice Lira Accordion, made in Italy. Older but in very good condition. Nice sound. Comes with carrying case. $225. Non-smoking home. This is a nice Lira Accordion, made in Italy. Older but in very good condition. Nice sound. Comes with carrying case. $250. I do not ship, local deliver or pick-up only. 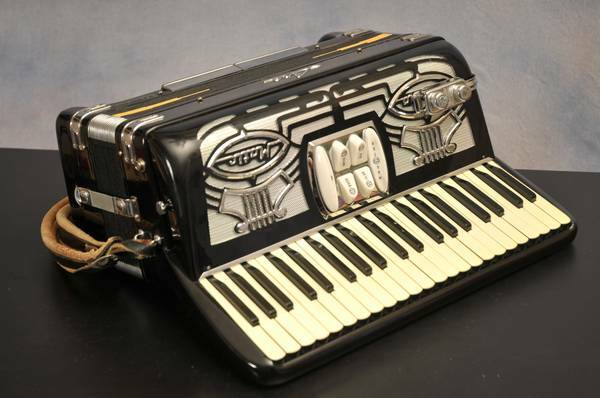 1952 Lira Accordion, model 50 Super. It plays well and has been protected in a hard case. Made in Italy.